A great deal of detail has been put into most textures in the game and it certainly helps make the game look visually impressive, similarly polygon count is okay, but could have been better, it’s best on NPCs and the worse on some “Necromorphs”. All cut-scenes are scripted in-game and remind me a little of Bioshock in their style, they flow well with the gameplay and don’t bore as much as some cutscenes do, though the inability to skip them can be frustrating. 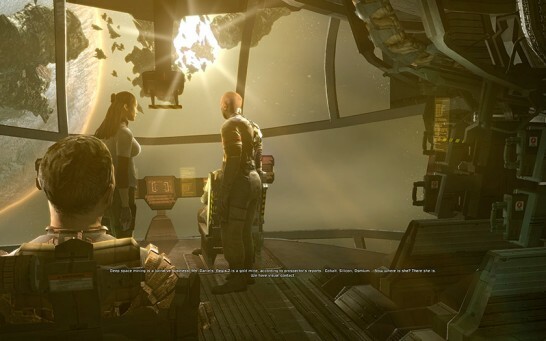 The game shows off it’s visuals occasionally, usually in cutscenes or when you are outside the ship, lighting is a big factor in it’s overall feel and the best scenes usually contain a lot of the lighting effects. The ability for the PC version to run at high resolutions perhaps gives it a slight visual edge over the console versions, however overall the post processing effects and lighting on the Xbox 360 version for example seem much better. A big issue that really does hurt the visuals is the almost complete lack of anti-aliasing, the in-game AA option I believe is one of those blurring filters (like in Mafia 2) that just makes the image a little blurry due to traditional AA being incompatible, sacrificing much more sharpness than traditional AA and working only half as good, another point to make is that AA can also not be forced on with drivers. Recently the in-game AA stopped working completely for me, possibly due to a driver issue. It’s still an impressive looking game, though it may age fairly quickly for PC users, I’m surprised to find the least broken thing the PC got out of this multi platform game would have to be the graphics, it runs really well on older/slower hardware and newer hardware handles it with ease. The ambient music is slow and spooky through most of the game, though it picks up during the more intense areas, it creates a generally scary atmosphere that compliments the visuals well. 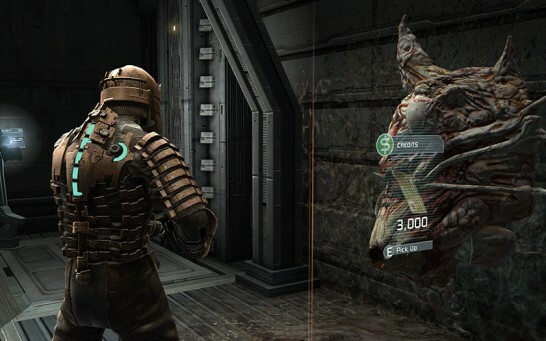 The game seems to borrow a bit from Doom 3 in the way sound is used in the game, aside from the soft ambient music, the sound effects help guide the player in what to expect in the area they are currently in, as well as warning of future attacks, similar to the horror movie use of sound. Some of the Necromorphs have a distinct sound that helps identify what’s coming up, though it does add to the list of things that make many parts of the game a tad predictable. This is a third person shooter, I usually expect bad controls when it comes to third person shooters on the PC, as for some reason game developers seem to have trouble getting it right, this is no different. The standard third person controls are used in this game, WASD for movement, mouse for looking, but mouse control is where it really has trouble, no matter how high the mouse sensitivity is set the player cannot turn very quickly to the degree where you must stop moving forward, then turn just to navigate a corner in a corridor, as moving forward makes it worse, running seems to help a little, but you still can’t turn fast enough to simply run around a corner, this makes aiming in such a fast paced game also frustrating with Necromorphs that can jump around much faster than you can keep up, I ended up putting the mouse sensitivity to maximum, it helped a bit but also make it a little hard to control the pointer in the menus. On a related note the menu system is what you would expect from a game who’s controls seem to have been solely designed to work correctly on the consoles, sometimes you can use the mouse to control them, sometimes not, sometimes one key is used for selection, sometimes another. It’s not too bad once you get used to it however and I was back at my normal speed of navigating menus, it’s just an initial inconvenience that probably shouldn’t exist nowadays. 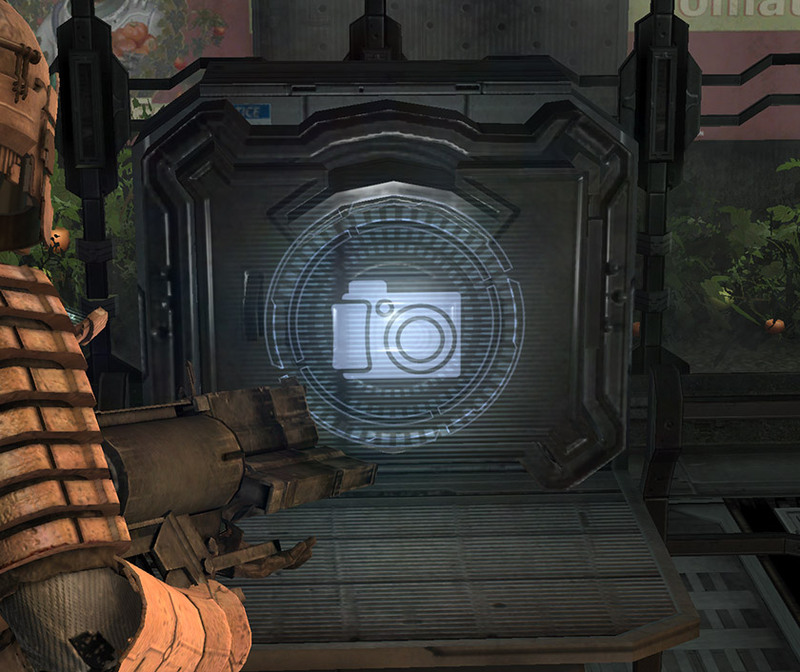 Back to gameplay, you have an arsenal of weapons, though you can only carry 4 of them at one time (see paragraph above), unused weapons can be stored at a store, along with other items as your suit can only hold so much depending on what level it is, it can be quite frustrating when you get the wrong gun for the next segment out of the store and have to reload and get the correct one. 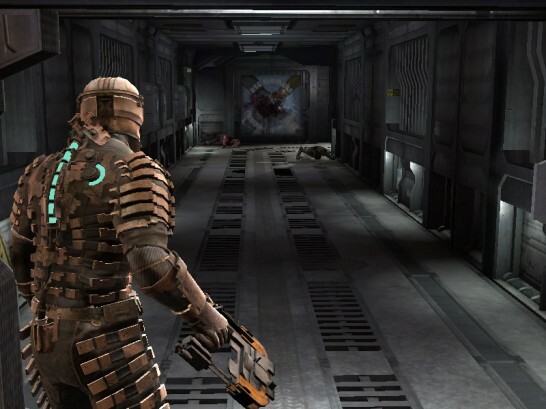 Most of the weapons are useful, though I found later in the game the only ones I carried were the Plasma Cutter which is the first weapon you get, it’s fast, uses little ammo and the ammo is cheap, the Line Gun which is similar but much more powerful, slower loading, slower firing and the ammo is a bit more precious, the Ripper which is like a saw that can also shoot saw blades, helps with smaller Necromorphs, the ammo is cheap and plentiful and it can really help in those close quarter battles, and the Contact Beam that seems to kill most Necromorphs in one shot, the ammo is expectedly very rare and expensive, I seem to use it very often when things get too crazy. Along with weapons you also get early in the game a stasis module that requires stasis to function, it allows you to put Necromorphs and moving parts of machinery into stasis, they don’t stop but they slow right down. There’s also a kenesis module which is free to use at any point, it allows you to move objects/machinery around. The weapons system works well, aside from the aim issues of course, right clicking aims, left clicking shoots, however something that I really love is the integration of the stasis and kenesis modules into the aiming system, so to use kenesis or stasis you hold right click, aim and then use the desired buttons, it’s a one-up IMO of Bioshock where you must change from your weapon to use a special power which in combat can make things a little tricky, it allows you to quickly shoot one Necromorph with stasis while immediately being ready to shoot another, it’s something quite necessary later in the game. You can also upgrade weapons, modules and parts of your suit with power nodes, these power nodes are found maybe at maximum 3 every level, it’s also worth a note that you also need these power nodes to open certain doors that contain goodies as well, though you can purchase them at the shop for 10,000 credits which is a significant amount that is preciously needed for ammo. 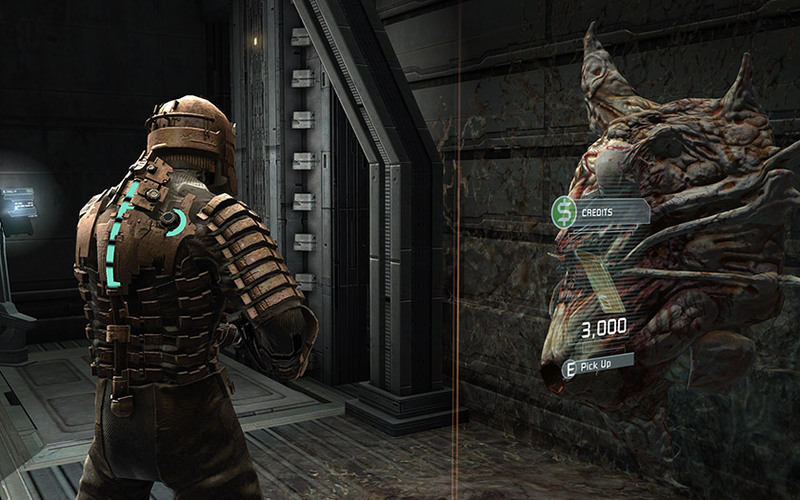 The upgrades work by connecting points, each point needs a power node to activate, but not every point does anything, but many of them are needed to get to points that do upgrade some part of the weapon, module or suit, so it really is daunting just how much resources are required just to keep up with the game. It’s clearly designed that on your first round you cannot possibly upgrade every part, but it seems to unfairly hinder first round (in many case only round) players. The save system works, even though it obviously didn’t have PC gaming in mind, you can only save at save points scattered around the ship in your path, it breaks away from the game’s realism as a ship would never have a box on the side of the walls saying save point. The game however did take up to twice as long simply from me walking all the way back to a save point to save after each big fight. The story was fairly easy to follow throughout, though there were some characters who had such rare appearances that I had completely forgotten about them when they showed back up, the story is simple, yet enjoyable and does get better towards the end. The storyline was a bit ridiculous, like a sci-fi episode where everything that could go wrong does at every step of the way, it got very predictable, it became a case of “go there and fix x”, then after that, “oh, y is broken as well, you’ll have to fix that before x will work” and then finding out that x won’t work anyway, it just doesn’t feel like you make much progress throughout the game until right near the end. This game is pretty light on the graphical bugs, at least for me, the missing AA bug was all that I experienced. This game gives you the ability to only save at save points as mentioned above, a problem that this causes is that you can rush back to a save point before completing an objective and the next part of the story is activated prematurely without the objective being completed, this happened once for me, another time it simply didn’t activate the next step and I was stuck, I had to reload twice until I found that you literally had to not walk to a part of the room before an event triggers. Graphics – AA broken, doesn’t work well when it is on and doesn’t work at all any more for me. Sound – Perhaps a bit cliché, gives away what’s about to happen. Gameplay – Bad mouse usage and sensitivity, obvious not-made-for-PC controls. Bugs – Broken AA, bad story scripting inadvertently causing things to happen that should not. 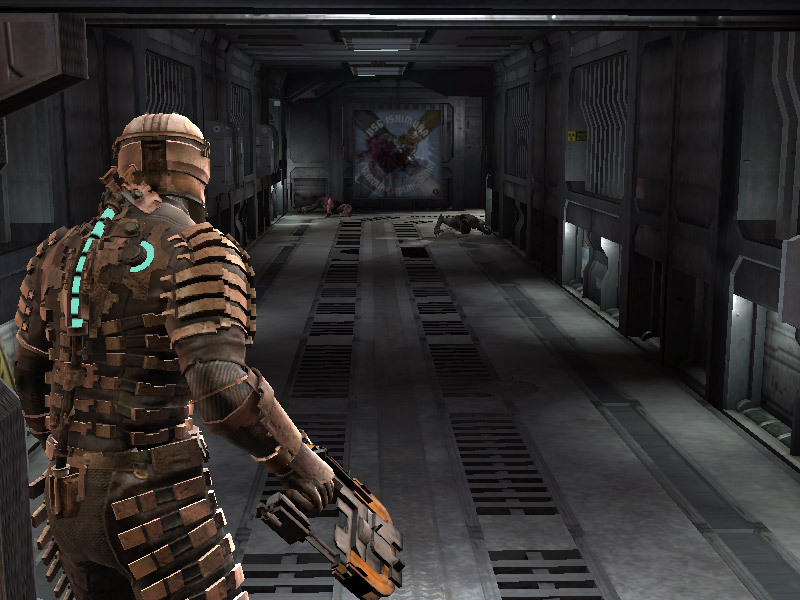 Graphics – Good textures and lighting, atmosphere. Sound – Spooky, though familiar. Gameplay – Save system works well when it’s not causing bugs. I didn’t really enjoy playing this game until about 3/4 of the way through, it just got so tedious and the battles were so very unforgiving, I wasn’t gaining enough items to sell or use than I was losing, all the while I was needing incredible amounts of money to upgrade my equipment or risk falling behind and being unable to take on future, more powerful, Necromorphs. The pressure eased towards the end of the game and I was able to enjoy it a bit more, upon reflection I did have fun playing the game and it was rewarding to complete.